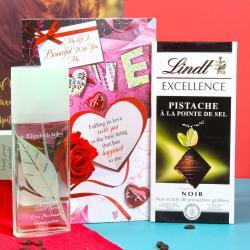 Product Consists : Bio Care Whitening Face Wash for Lightens Complexion and Improve Fairness ( Weight : 150 ml) and Lindt Excellence Noix De Pecan Caramelisee (Weight : 100 gms) along with Twin Shade Heart Shape Cushion (Approx Size : 8 Inch) and Love Greeting Card. Make special efforts for your partner by gifting this and wish her Happy Valentine Day. Enjoy the love day with special gift like Valentine Special Love Gifts For Her with Bio Care Face Wash for Her full of joy and romance, for sure your lovers will say thanks to you for creating such a beautiful moments for her. Love gifts can be gifted for plentiful reasons meanings and special thing is with one mouse click you can order. Say Happy Valentine's day and if it is your first Valentine then you are much excited to be with your LOVE deliver this beautiful gift So he can be proud to be your Valentine. Make your dear men feel special by sending this perfect gift combo to her on any special occasion Like Valentine's Day, Birthday, Anniversary and Many more. This hamper can be a perfect gift for women on any special occasion or festival like Valentine's Day, Birthday, Anniversary and Many more. Browse your favorite products, it is very conveniently available for online shopping from anywhere in India with Free Shipping. 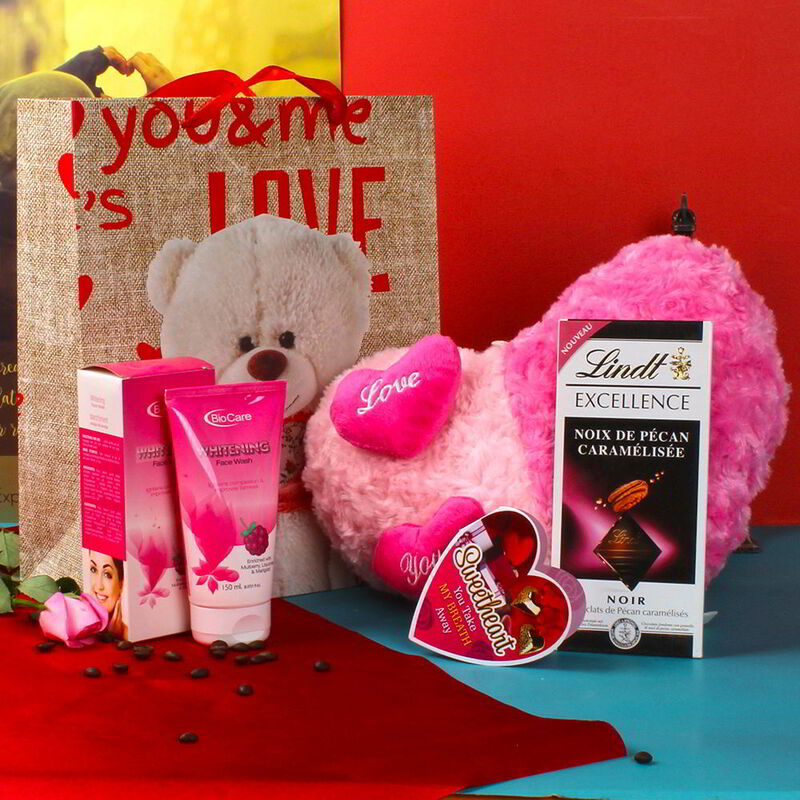 Product Includes : Bio Care Whitening Face Wash for Lightens Complexion and Improve Fairness ( Weight : 150 ml) and Lindt Excellence Noix De Pecan Caramelisee (Weight : 100 gms) along with Twin Shade Heart Shape Cushion (Approx Size : 8 Inch) and Love Greeting Card.